Steve Jobs, co-founder of Apple, died today at the young age of 56. His death has saddened many people throughout the world. Reactions from his friends, co-workers, the media, world leaders, fans, and more have started. Here are some notable reactions to the news of the passing of Steve Jobs. This page will be updated with more reactions as they pour in. Thanks for all the hard work you did, and for the way you changed and entire planet. Your work and vision will never be forgotten. My condolences to Steve Jobs’ family and friends. We’ve lost a unique tech pioneer and auteur who knew how to make amazingly great products. Steve fought a long battle against tough odds in a very brave way. He kept doing amazing things in the face of all that adversity. As someone who has had his own medical challenges, I couldn’t help but be encouraged by how he persevered. True genius is measured by the ability to touch every person on the planet. Steve did that, not just once, but many, many times over his amazing life. We at Intel were privileged to have known him and worked with him as he brought his creations to life. Our hearts go out to his family and to his many friends and co-creators throughout the world. Even when I worked for 15 years for Bill Gates at Microsoft, I had a huge admiration for Steve and what Apple had produced. But in the end, when I think about leadership, passion and attention to detail, I think back to the call I received from Steve Jobs on a Sunday morning in January. It was a lesson I’ll never forget. CEOs should care about details. Even shades of yellow. On a Sunday. To one of the greatest leaders I’ve ever met, my prayers and hopes are with you Steve. Steve Jobs was an extraordinary visionary, our very dear friend and the guiding light of the Pixar family. He saw the potential of what Pixar could be before the rest of us, and beyond what anyone ever imagined. Steve took a chance on us and believed in our crazy dream of making computer animated films; the one thing he always said was to simply ‘make it great.’ He is why Pixar turned out the way we did and his strength, integrity and love of life has made us all better people. He will forever be a part of Pixar’s DNA. Our hearts go out to his wife Laurene and their children during this incredibly difficult time. Steve Jobs was a great California innovator who demonstrated what a totally independent and creative mind can accomplish. Few people have made such a powerful and elegant imprint on our lives. Anne and I wish to express our deepest sympathy to Steve’s wife, Laurene, and their entire family. There aren’t enough words to describe what Steve has done, he defines a generation. I hope that everyone will respect his privacy and will respect his family’s privacy. For apple this will be business as usual. For all intents and purposes, we knew Steve was sick, but we had no idea he was this sick. This is a tremendous loss of an icon for the tech community, but it’s not the time to dismiss Apple. Steve was one of a kind. For many of us working in technology and entertainment, Steve was a new kind of hero that lead with big, bold moves and would not settle for less than perfection. He is the best role model for a leader that aspires to be great. His death is a huge loss for the creative community. If you think about how many creative things that were made using Apple products… Steve Jobs is probably the biggest influencer there is. I’m shocked, and saddened. He’s obviously one of the century’s most important innovators and set the agenda for the tech industry for 30 years. I had mixed feelings about him as a man, as a manager. He was cool … his influence has been staggering. Steve’s passion for innovation and creativity will carry on for decades to come. His legacy is enormous, touching millions of people around the world. Our entire industry and economy is better for his presence and incredible contributions. On behalf of Broadcom, we send our deepest condolences to Steve’s family and to Apple employees. Tonight, America lost a genius who will be remembered with Edison and Einstein, and whose ideas will shape the world for generations to come. Again and again over the last four decades, Steve Jobs saw the future and brought it to life long before most people could even see the horizon. And Steve’s passionate belief in the power of technology to transform the way we live brought us more than smart phones and iPads: it brought knowledge and power that is reshaping the face of civilization. In New York City’s government, everyone from street construction inspectors to NYPD detectives have harnessed Apple’s products to do their jobs more efficiently and intuitively. Tonight our City – a city that has always had such respect and admiration for creative genius – joins with people around the planet in remembering a great man and keeping Laurene and the rest of the Jobs family in our thoughts and prayers. 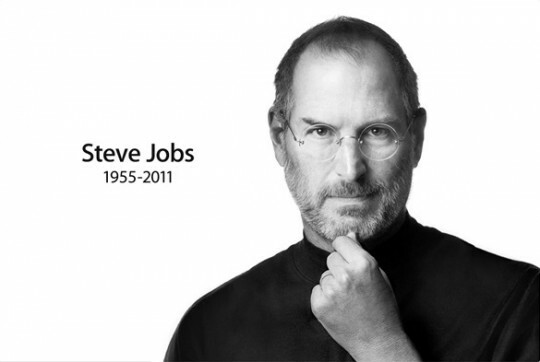 I am deeply saddened to learn of the passing of Steve Jobs. He has had an indelible influence on the way we use technology in our lives,” said Brian J. Dunn, CEO of Best Buy, the world’s largest CE retailer. “Steve was a visionary leader who was able to see the world in ways that others were unable to see. Under Steve’s leadership, Apple has been a great partner to Best Buy and we will miss him. Beyond that, Steve’s mark on the connected world as we know it today – making technology smart, simple and empowering – will leave a lasting legacy that will continue to influence technology well into the future. For that, all of us, whether Apple users or not, should be forever grateful. Samsung Electronics is saddened to hear of Chairman Steve Jobs’ passing and would like to extend our deepest condolences. Chairman Steve Jobs introduced numerous revolutionary changes to the information technology industry and was a great entrepreneur. His innovative spirit and remarkable accomplishments will forever be remembered by people around the world. We would like to again express our sincerest condolences to Mr. Jobs’ family and his colleagues. Today the world lost one of its greatest innovators and visionaries with the passing of Steve Jobs. His achievements are unmatched in our time. We admired his spirit, his creativity and his passion. He not only changed the technology industry, he changed the world and made it better. While we will all feel this enormous loss, I am confident that this industry will take to heart the lessons Steve taught us about innovation. Steve led this industry like a beacon for the past decade. As a competitor, he helped ensure all of us pushed even harder, and I am confident his legacy will continue to energize the industry for many years to come. His spirit will carry on, and it will inspire all of us to achieve more. We would like to express the sympathy of all 27,000 Lenovo employees worldwide to his family and friends, and we joining the world in mourning his passing and celebrating his life. Today the world lost a visionary leader, the technology industry lost an iconic legend and I lost a friend and fellow founder. The legacy of Steve Jobs will be remembered for generations to come. My thoughts and prayers go out to his family and to the Apple team. I feel honored to have known Steve Jobs. He was the most innovative entrepreneur of our generation. His legacy will live on for the ages.